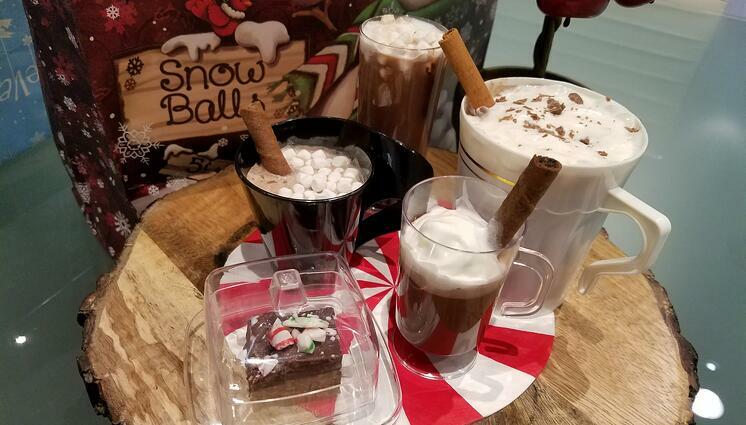 Holiday season is here and whether you have a large budget or small budget there are plenty of places to find great ideas. Here’s one that is sure to make the party that much more memorable, stretch your budget that much farther, and make planning your party that much more convenient – Use Fine Disposables. Disposables Save Time, Money and Labor. 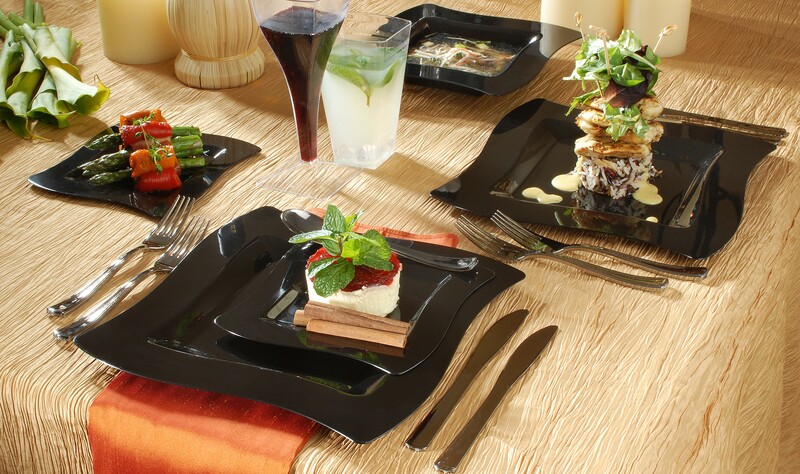 Rental costs for serve ware range from about $4 per person to upwards of $7.50 per person. That’s just to rent the stuff. Additional costs may include fuel surcharge, price per mile delivery and additional labor to deal with it during the event. Now you can get all the aesthetical appeal of fine china with disposables that look like fine china for about ½ the price of what it costs to rent. No fuel charge, no delivery charge, no broken backs or broken dishes to disrupt the event either. If your per person budget for your party is small you can instantly improve the perception of it with high end disposables and redirect the savings toward a better menu. People eat with their eyes before their stomach and the better looking the food is the better it will taste and the more memorable it will be. 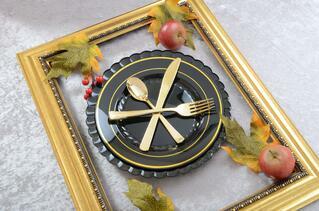 High end disposables are not expensive when you compare the cost to renting plates, flatware, and glasses. The greatest benefit to using disposables is to the event planner. There are many venues that do not allow glass so you have no choice but to use disposables. Using disposables opens your venue options wide open and there are many outdoor venues that are less expensive than indoor venues helping to save even more money without having to sacrifice elegance and sophistication. Plus one less company and rental contract to deal with can be a blessing especially when you’re one of the party planners scrambling to put together a corporate event where the stakes to impress are high. Simply using disposable items like stemless wine glasses will create ambiance for your event that is over and above using a random plastic cup for beverages like fine wine. Sanitation is important at parties with a lot of guests. Unfortunately, holiday party season coincides with flu season. Studies show that single-use food service items are more sanitary than reusable dishes. If you’re renting dishes you have no idea where they’ve been stored, the equipment and chemicals that were used to try and get them clean or who’s been handling them. Sometimes chips on the edges of plates and glasses that seam harmless can be a breeding ground for bacteria that will give your guests the wrong memories of your event. Disposables have evolved so much in the last decade that they realistically could be used at a white glove service event. It’s time to rethink disposables. Make any event spectacular regardless of what it’s for or where it is all while saving time and money without sacrificing elegance, sophistication, health and safety. Check out a full line of options for any event at and request a catalog at our website. The Holidays are coming... the Holidays are here! With all the preparations and shopping hopefully done already, it's your time now to sit down and start preparing the holiday meals for all your guests, family and friends that you plan to have over for the meals. Make sure you have a game plan, know your guests, what they appreciate to eat and make sure if anyone has any allergies that you need to be aware of, if you have a family member that is vegan, they would really appreciate you preparing them something they will be able to eat, or anyone who has a specific food or health diet. These tiny little things are what really make people happy and makes them feel extremely welcome knowing that you thought of them when preparing your party, that will never be forgotten. Here's one great tip that you will always be grateful, remember the days you used to borrow the china dishes from neighbors just to have enough for everyone and then they did not match? Well that is over and those days are long since gone. If you plan to have a party or dinner with 10 or more people you don't need to use real china plates or glassware, check our Fineline Settings with such an amazing selection of upscale disposable dinnerware and an amazing collection of plastic tumblers and drinkware, you will always be thankful that you used plastic rather than using real. There are a great variety of styles and shapes and 4 different colors to choose from, Black, Bone, Clear and White. Each with its own unique style and design to satisfy every trend and theme. They have soft square edges with are the hottest trend right now, check out their Renaissance premium upscale disposable dinnerware collection and they just got a brand new crystal tumblers collection that will sparkle whatever is in the cup. 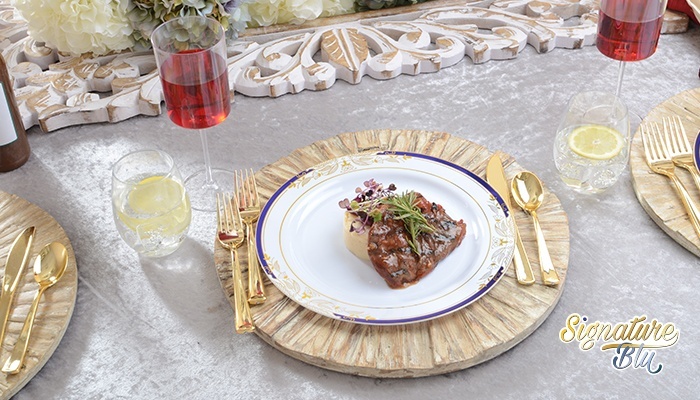 With these plates they have amazing heavyweight premium silver plated plastic cutlery as well as silver mini cutlery for tastings and desserts, all heavyweight and they almost look better than the real deal. For the cocktail table or mini finger food heaven table you have a full selection of mini disposable plates, bowls, dessert cups, utensils, tongs, espresso mugs, sushi plates and much more, it's a dream come true for the special pop and mom that love to wow their guest but don't have the means to do it with expensive serveware, these mini dishes are premium weights and are recyclable and disposable. 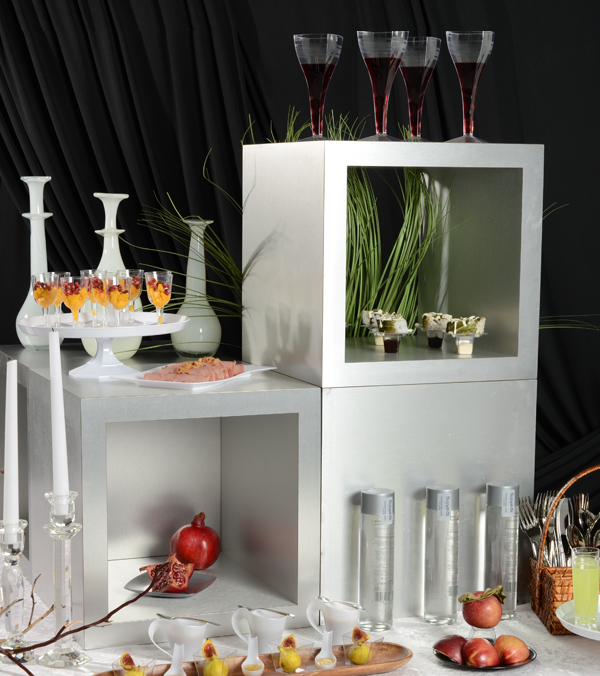 You'll enjoy the setting up as much as your guest will enjoy tasting and eating all the foods. Now come the wine and spirits, you got red wine, white wine, champagne, bourbon, whiskey and scotch (for the adults of course) and who doesn't like a great cocktail mix, Fineline Settings has got a cup for everything. 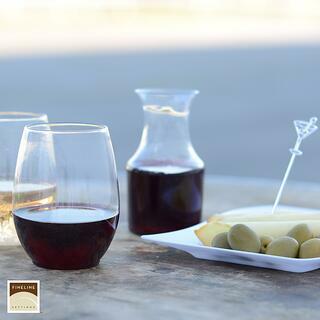 Check our their collection of tumblers and stemware, high quality plastic that will make that shot go down as smooth or as rough as you just like it. So, with the shopping and presents done with, now is the time to sit down and work out the meals if you haven't done so already. Get down to it and serve your guests with your best! Happy Holidays and Cheers to a great celebration! Throwing a party is stressful enough, from planning to inviting and then to actually setting up the party and making sure everything is set beautifully and ready for the guest to arrive and indulge. It all starts when you decide you want to host a party for any particular reason, whether it's for any upcoming holiday and you're going to invite your friends and/or family, or your having a gala event, bridal party, wedding party, birthday party or any of the like, heck you don't even need a reason to throw a party. The first thing you need to set is 1. how many people you're going invite. (take in consideration that this number will always be higher at the end) 2. if you have a specific theme you want to showcase at the party. Whether you are the formal people or classy type, an invite is always appropriate and appreciated. There are many different and really interesting ways you can invite your friends and family over to your party. The typical paper invitation can work well, depending on the occasion, linen paper with burned edges are very nice, but you can get funky and make something different depending on the occasion. P.S. Email is not the finest way, although the quickest and perhaps easiest way, one would much rather appreciate a more personal approach. As with everything else, this all depends on the type of occasion you are hosting. If this is going to be a meal type of event then you'd probably want to plan a full 5 course meal, starting with cocktails and continuing with entrees, appetizer, salad, soup and main course. Don't forget the main course for some is the dessert, who doesn't like a great dessert after a nice meal with a nice glass of wine or champagne. However if you're throwing the fun and casual party, things probably need to run a bit different in the food section. You can start off with cocktails which always are a great way to bring everyone up to date in all the conversations etc. plus it gives you some time to make the final touches in the kitchen if you're not ready to serve yet. Then you would want to have a buffet style of entrees and finger food coming out on a constant basis, varying from different meats, chicken, fish of all sorts and veggies. One very important note, make sure you know of any specific diets or special food requirements before making your menu, it can be very counterproductive and hurtful to find out of someone allergies or special diet in middle of the party. This is where it get to the fun part. Your menu is done, the food was bought or going to be ordered, now you can start dreaming of the table setting and theme you want to go with. All this depends again what type of party or event this will be, indoors or outdoors, standing or sitting, casual or formal. Age type is also key to know how to set your tables. The one most important thing of all is to try to purchase plastic and disposable products for props and for food serving as well. In today's day ad age there are so many great products that are not made of real expensive china thus giving you the opportunity to be different and spend less on setup, it also gives you a greater variety of products to chose from and a whole different color option. 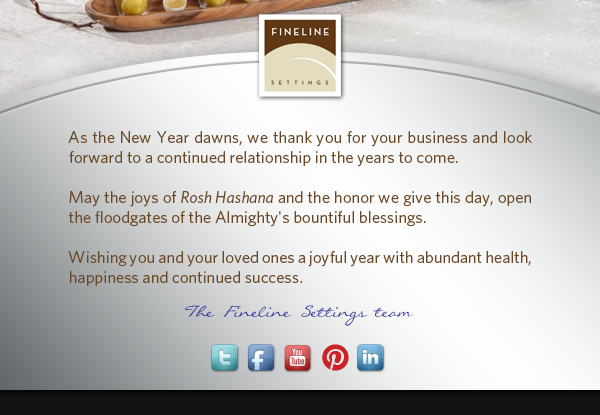 Fineline Settingsis a great resource and we are the leading manufacturer of fine upscale disposable dinnerware. The great part of using disposable products is that when all is done and the event and party is over, there is nothing left to do, just throw everything in the trash or recycling where available and you're done for the night, rather than having to go and wash or pay your caterer to wash them for you. Now is your time to shine, stay calm and make sure everyone has what they need at all times. Being a host is not an easy job, being a great host in even harder. Your guest will remember this party or event for a very long time if everything is nice and calm, get some extra help with serving the hot food and making sure the serving dishes are always full. Keep on switching stations so everyone gets a chance to have a bit of everything. The only thing left for you now is to enjoy the aftermath, whether it's with your kids or with your loved you, breath in the moment and start planning the next party, don't have an occasion? That's not a problem, you don't need an occasion to party! Happy Holidays - Cheers!